In years past the Federal government has given out cheese to low income individuals and families. Many people really liked this cheese and would like to buy it now. This is a guide about buying "government" cheese. Question: Where Can I Buy Government Surplus Type Cheese? How do I get my hands on some "Government Cheese"? Thirty years ago, I tasted some government cheese and loved it. It was a rich, yellow cheese with more protein per ounce than most public cheese. How do I get some? I had the free cheese years ago, too! I have been buying "Fields" brand pre-sliced cheese in the 5 pound blocks. They also have it unsliced. I buy the sliced block and it lasts for a month at our house. It is the best and the closest to the govt. kind. They also sell it in 2.5 lb blocks. I get it at IGA, and use to get it at Sav a Lot. Good Luck! I was told that Land O Lakes American cheese taste like the govt cheese. I tried it, it was pretty darn close. You CAN buy the cheese! 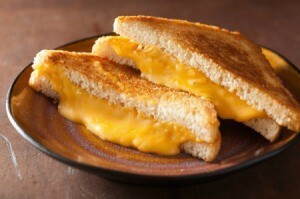 It is made by Land O' Lakes and is called easy melt american cheese. It's for sale on Amazon, but it comes in big long blocks like the old days. 5 pounds in a block and you have to buy 5. It's like $112 for it all. If you went together with a few other people it would be good. How can I purchase surplus government cheese? Land O'Lakes has some in 5 pound blocks (with a purchase of 5 blocks) called cheese melt. Thank you. Question: Where Can You Get Government Cheese? The question was never answered about where to buy the government cheese. Does anyone have an answer for this? It is usually given out to the elderly and at food banks. I don't think you can buy it. It no longer exists in the format that existed from the 1950s to the 1990s--that block of orange stuff that was a cross between Velveeta an American Cheese. Today it is more an euphemism for welfare/food stamps. That said, many food banks offer cheese products...but they are usually name brand like Kraft, that are donated by grocery stores or other donors. That cheese was made from several different manufacturers from surplus materials. It was probably slightly different depending on what region you lived in. From what I have read, we don't have the large surplus of dairy that we did in the 80s when the cheese was given out to needy families. Some people say that the 5 lb. Land 'o Lakes Extra Melt American cheese loaf is similar. I'm including a few links because I found them interesting. You just have to wait until the government is ready to off load it in bulk to get your hands on it. And yes, the majority of government cheese is made or processed by the same companies that make the block cheese today.....same cheese, different packaging. It has been back for awhile. Seniors get it about 1s a month..